The world’s most innovative cosplayers go head to head each week in Syfy’s new transformation competition series COSPLAY MELEE – an epic showdown of creativity, eye popping costumes and one of a kind characters. 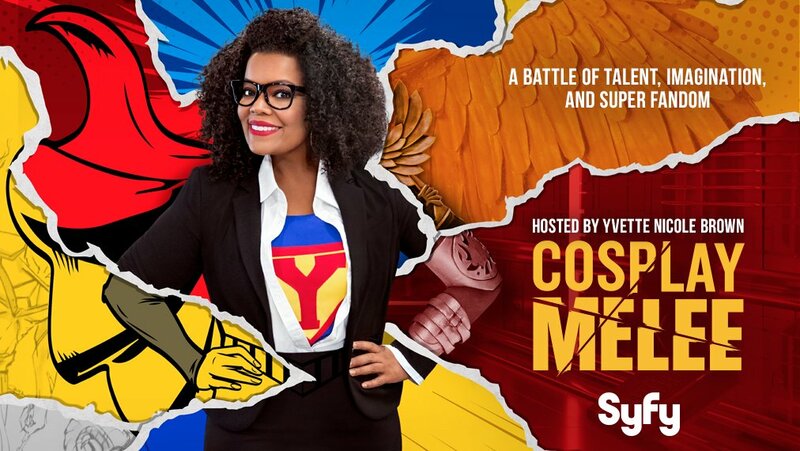 Premiering on Tuesday, March 21 at 10/9c, the hour-long battle is hosted by actress and self-described “super fan girl” Yvette Nicole Brown (“The New Edition Story,” “Community”) and executive produced by Jay Peterson and Todd Lubin of Matador Content (“Lip Sync Battle”). Each week, four world class cosplayers compete to create not only intricate full-body costumes – but fully-formed characters that they must bring to life through their own realistic performance. Guiding and critiquing them are a panel of judges including world class cosplayer LeeAnna Vamp, and A-list costume creator, Christian Beckman (“The Hunger Games,” “TRON: Legacy”). At the end of every episode, the winner will walk away with $10,000 … and the right to claim cosplay supremacy. Syfy is a media destination for imagination-based entertainment. With year round acclaimed original series, events, blockbuster movies, classic science fiction and fantasy programming, a dynamic Web site (www.Syfy.com), and a portfolio of adjacent business (Syfy Ventures), Syfy is a passport to limitless possibilities. Originally launched in 1992 as SCI FI Channel, and currently in 96 million homes, Syfy is a network of NBCUniversal, one of the world’s leading media and entertainment companies. 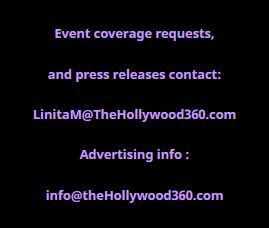 NBCUniversal is a subsidiary of Comcast Corporation. Matador is a full-service content studio with offices in New York and Los Angeles. Founded in 2013 by Jay Peterson and Todd Lubin, the company is a creative collaboration between two experienced producers and longtime friends, bringing together their unique vision and knack for making popular and innovative content across a variety of platforms. After only three years, Matador has produced over twenty-two series for TV as well as sports and feature documentary specials, virtual reality content and digital programs across multiple networks, including the series that turned into a phenomenon, Lip Sync Battle (Spike) and most recently, Give Me Future, the forthcoming documentary about Major Lazer’s free concert in Cuba that will premiere at the Sundance Film Festival in 2017. Outside of the Emmy Nominated Lip Sync Battle, Matador’s output has shown an impressive range across networks and genres, from the horror-themed competition of Hellevator (GSN) to the historical hilarity of Great Minds with Dan Harmon (History) to the real life stakes of Project Runway: Fashion Startup (Lifetime). Matador’s renegade art documentary Banksy Does New York (HBO) was nominated for Outstanding Arts and Culture Programming at the 36th Emmy Awards, the ESPN 30 for 30 short Mecca fused sports and aesthetics in truly unique fashion, while Hurricane of Fun – The Making of Wet Hot (Netflix) got fans to fall in love with the cult comedy classic all over again. With a whole slew of new exciting shows – including Vice’s first scripted series What Would Diplo Do? (Viceland) and the spinoff Lip Sync Battle Shorties (Nickelodeon) – Matador is showing no signs of slowing down.